Do you need to get away this holiday season? Looking for Cancun all inclusive family resorts? Do you want the ultimate all inclusive Cancun resort experience? Well, then may we suggest a stay at the world renowned, award winning (AAA Four Diamond Award Winner) Iberostar Cancun, located in Mexico’s most hopping vacation hot spots. As far as Cancun all inclusive resort are concerned, the Iberostar of Cancun offers guests a high class vacation experience. At Iberostar, luxury meets comfort, allowing guests to feel at ease while they vacation in Mexico. Iberostar has been developing resorts around the world for years, so they’ve become one of the number one all inclusive resort on the planet. If you want to really amaze your friends and family, then choosing the Iberostar Cancun, Mexico may be the best decision you’ve ever made. All inclusive trips to Cancun can really bring you and your family closer together, and why not share that experience at one of the best hotels in Cancun? In addition to offering incredible couples and honeymoon packages, Iberostar is all inclusive, allowing you to design a package that fits your vacation needs. Iberostar Cancun all inclusive packages are your best choice for affordability, comfort, and organization. For those who haven’t had an all inclusive vacation before, let us paint you a portrait. You can customize a family or group package that suits your every detail, then once you have picked your desired package, all you need to do is pay the pre-determined cost. The prices vary from package to package, but they are all incredibly affordable and can meet just about every budget. After you’ve paid the initial package amount, the rest of your vacation is covered. You won’t have to sit at the dinner table, counting each person’s meal, for the initial cost of your vacation includes all food and drink. The idea of an all inclusive is great for people who don’t want to be counting their pennies while trying to enjoy their dream vacation. That’s why we’ve compiled a list of several different vacation packages; we want you to be carefree and stress free while you enjoy the beaches of Cancun, Mexico! Now, let us break down some of the resorts features. This giant resort includes 7 rejuvenating, cooled pools, an on site golf course (equipped with 18 holes of challenging golf), two tennis courts, complimentary WiFi, daytime and nighttime activities, 24 hour room service, ping pong tables, basketball courts, dance lessons, dart boards, soccer fields, spacious rooms, unforgettable views, exquisite cuisines, jacuzzis, a spa, and much, much more! People come to Cancun, Mexico resorts to put their mind at absolute ease, and the staff at Iberostar excel at making sure that your mind is out of the office and on the beach during your entire stay. 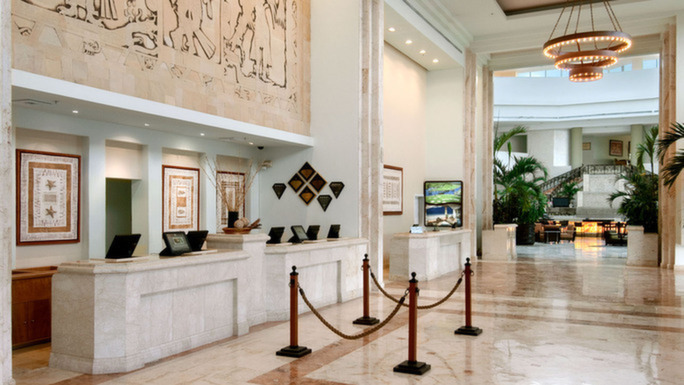 The Iberostar Cancun reviews that you find online are amazing due to the staff’s incredibly vast knowledge of the hotel and surrounding areas. In addition, staff goes the extra mile of ensuring that each guest receives personalized attention. Whether it be a desired sweetness to your favorite cocktail, or your preference to have a few additional pillows, the staff at Iberostar Cancun, Mexico will do anything and everything to make sure you have an enjoyable stay! Apart from the abundance of daytime activities and comfortable hotel amenities, the Iberostar in Cancun also has very spacious and luxurious rooms. 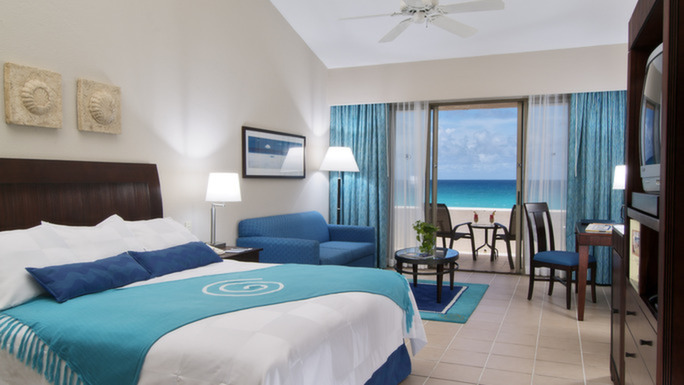 The rooms have been designed to accentuate the Caribbean vibe that exists in Cancun, Mexico, which gives guests a colorful and relaxing atmosphere in their rooms. The walls are adorned with modern and local painting and furnishing, the views are incredible, and every guest is treated to only the best at all times. When Mom and Dad need a little alone time, the resort offers the Kid’s Club, which keeps the youngsters entertained when you want to take a day at the spa, or play a round of golf. There’s fun around nearly every corner, so whether you want to spend the entire trip laying by the pool, or if you want to venture onto the golf links, we think you’ll find exactly what you’ve been looking for during your next vacation! 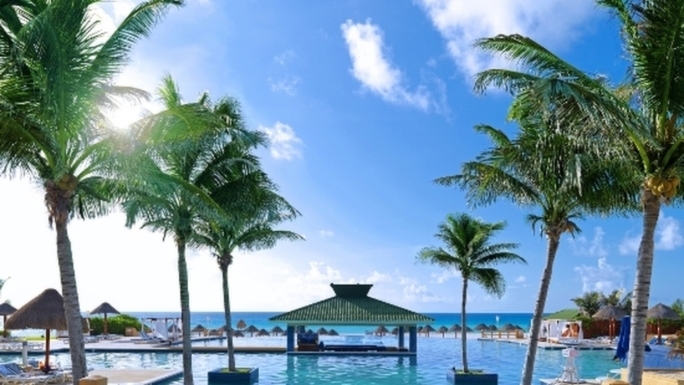 Iberostar Cancun all inclusive packages bring guests as close to royalty as physically possible. Maybe it’s the family-friendly atmosphere, the prime resort location, spacious rooms, two international buffets, four specialty restaurants, or poolside snack bar, but people seem to come back to Iberostar year after year. 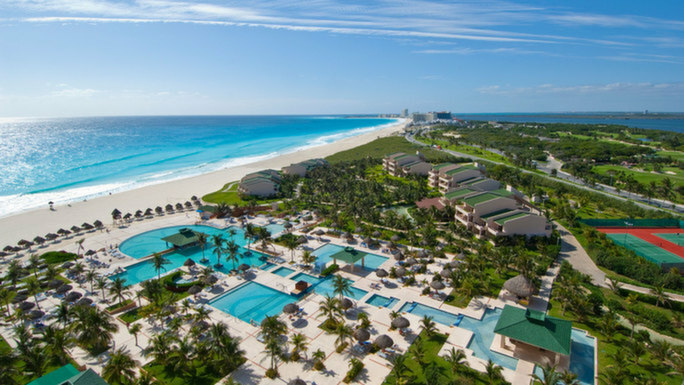 Families want to find a resort that caters to their family’s every need, so choosing a place like Iberostar in Cancun can be the difference from an epic vacation and a disaster. We promise that when you choose Iberostar for your family’s next vacation, you won’t just be simply taking them to a five star resort in Cancun, Mexico, but rather you’ll be showing them a style of vacation that they have only dreamt of. The atmosphere is Caribbean comfort and the food will be some of the most memorable they’ve ever had. 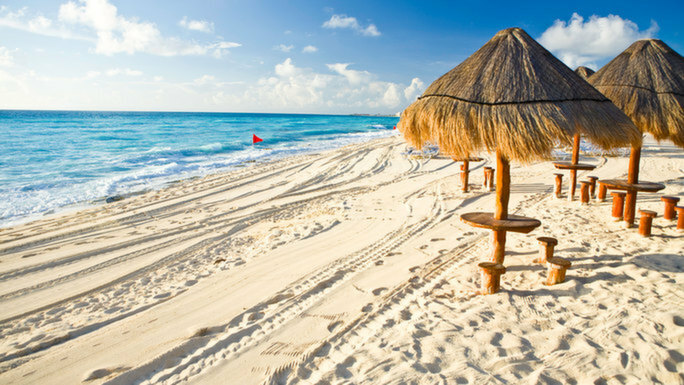 So, start searching Cancun all inclusive packages today and plan the vacation of a lifetime!